Established in 2012, California Finest is a “premium medical marijuana cigarette brand.” They are hand rolled, individually packaged, and distributed in packs of 5. California Finest cigarettes are produced by Purple Cross RX in Hollister, CA. 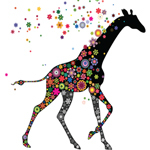 Each one is guaranteed to contain at least one gram of medical grade cannabis. 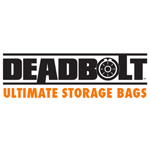 Founded in 2012, Deadbolt makes the “ultimate storage bags” for food, herbs, spices, and cannabis. Their bags, which are available in a variety of sizes and mad from FDA-grade material, are odor proof, water tight, and microwave safe. In addition to protecting against oxidation and corrosion, Deadbolt Bags are resistant to tearing, puncturing, and bursting. 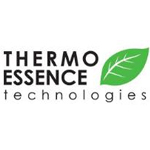 Thermo Essence Technologies (Thermovape) is a California based vaporizer company that manufactures 100% American made, medical grade portable vaporizers. In fact, each part that they use is FDA approved Founded in May of 2010, Thermovape is based around the idea of getting people to stop smoking through non-combustion, or vaporization. They only use the highest grade materials to provide you with a pure vaporizing experience that is unparalleled; every part is FDA approved. Thermovape released their Cera, a medical grade vaporizer pen, in 2012.